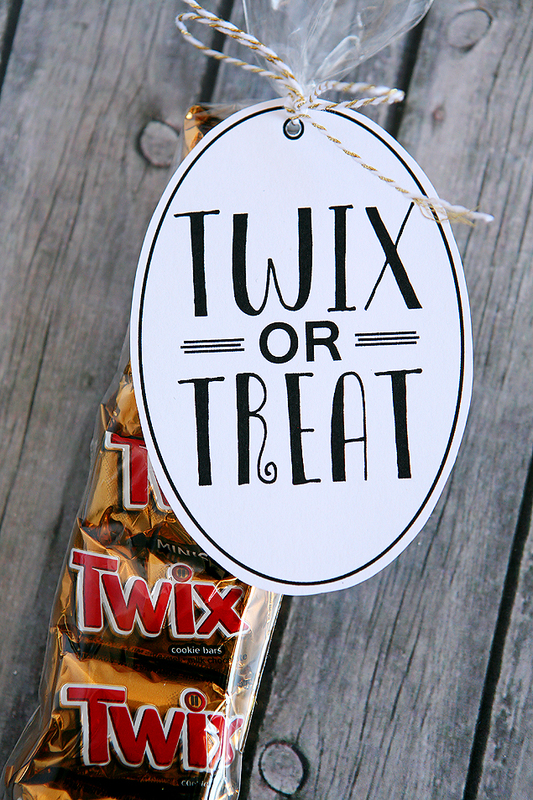 Some people say trick or treat but for those of us that love Twix, we say it a little different. 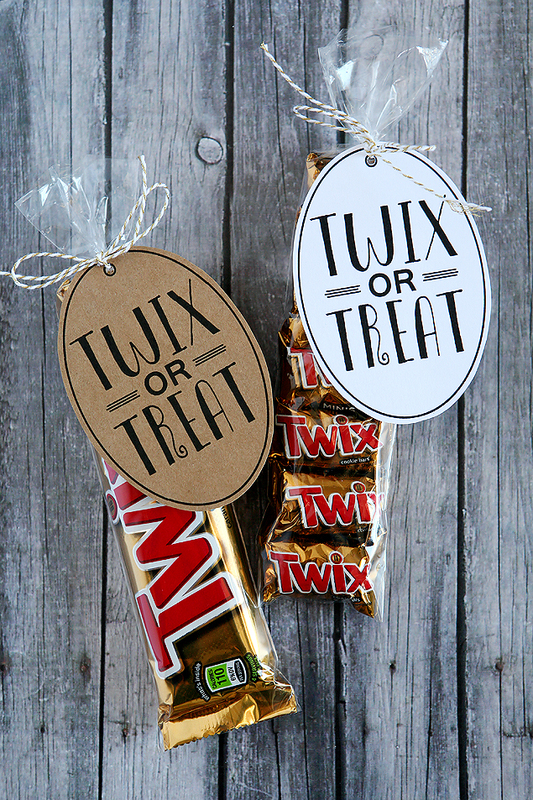 Twix or Treat! 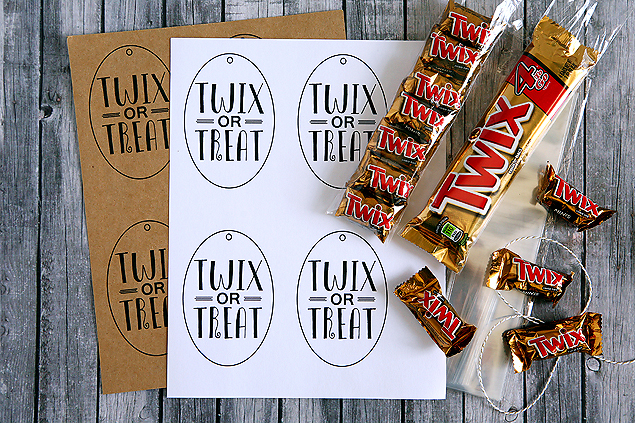 Plus, these sure make a cute Halloween gift for the kid’s teachers, friends and neighbors! First, you’ll want to download, print off and cut out your tags. Hole punch the top. Fill your pretzel bags with the Twix. Gather the top of the bag and attach the tag with the twine. Simple and easy! Then, get them out of the house, quick! Or they will disappear and you’ll have to start all over again!! I love this! I would definitely go twix or treating! I adore goodie bags for Halloween. I’m guilty of overspoiling the trick-or-treaters with bags myself stuffed with small candies, spider rings, stickers and more! I just always hope that the children appreciate them and enjoy the effort. What size bags did you use and where did you get them? They are so cute! What did you use to cut tags out? Way cute! Thank you for these. They are so cute.